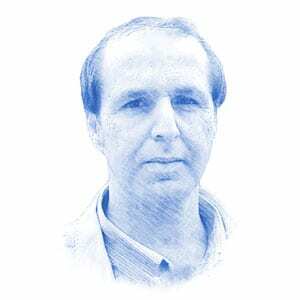 Khaled Abu Toameh, Author at Breaking Israel News | Latest News. Biblical Perspective. On this day, 18 years ago, Hamas’s military wing, Izaddin al-Qassam, launched its first rocket attack at Israeli population centers near their border with the Gaza Strip. Safi’s case serves as a reminder how Palestinians living under the Palestinian Authority in the West Bank and Hamas in the Gaza Strip are continuing to suffer from repression, corruption and bad government. Palestinians appear finally fed up with the apartheid and discriminatory laws they have been subjected to in Lebanon in the past few decades. Until a few days ago, the Palestinian Authority (PA) and its leaders were strongly denouncing Hamas for its brutal crackdown on Palestinians protesting economic hardship in the Gaza Strip. Hamas and Fatah, the two major Palestinian parties ruling the Gaza Strip and West Bank respectively, have been at war with each other for the past 12 years. The Palestinian Journalists Syndicate, a body dominated by Fatah loyalists, condemned the arrest of Hazem Nasser and called for his immediate release. Palestinian Authority officials who are not known as particularly religious have been warning Arab states that normalization with Israel is tantamount to treachery. Palestinian journalists who nevertheless challenged Hamas by reporting on sensitive issues, such as financial and administrative corruption in the Gaza Strip, are still suffering from the long arm of Hamas. The Palestinians have good reason to believe that some influential Arab countries have given up on both them and the Palestinian cause.